Blending theory, practice and lessons learned, this handbook offers constructive guidance on best practices to establish a dynamic, community-academic partnership that utilizes the talents and unique knowledge of community members and the skills and resources of researchers. 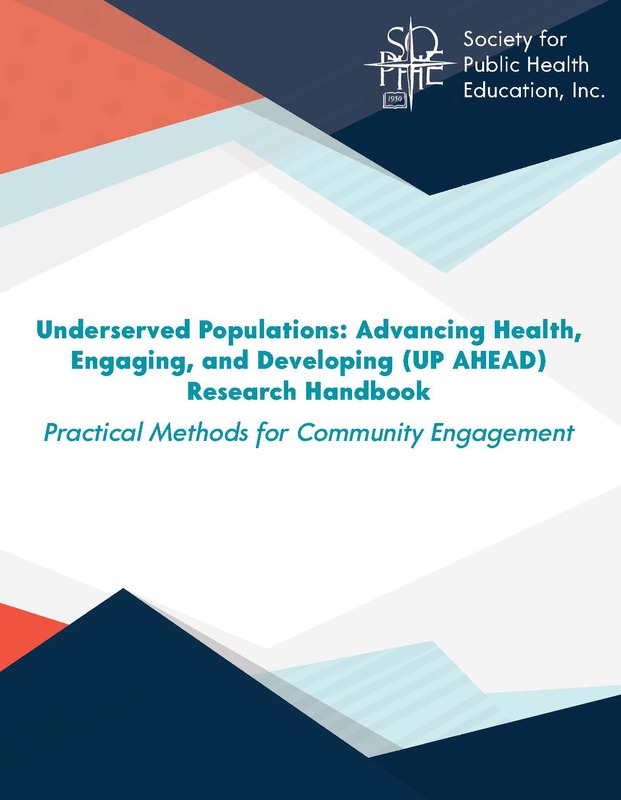 Underserved Populations: Advancing Health, Engaging, and Developing (Up Ahead) Research Handbook provides a practical “how to” methodology for engaging communities. Identifying community partners and engaging diverse community stakeholders. Using group processes for learning about stakeholders’ ideas and priorities. Examining data from community members and developing responsive initiatives. 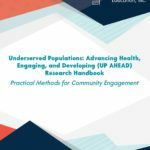 Health researchers seeking to advance the health of populations through research partnerships that focus on community priorities. Community members who want to advance methods that effectively engage and sustain research relationships with underserved, vulnerable populations who suffer the greatest health disparities in the U.S.
Identifying and establishing a relationship with community stakeholders requires more than relying on individuals who are relatively easy to recruit because they are from more advantaged backgrounds, from communities that are more experienced in working with researchers or individuals receiving care through a research institution.